Below is a list of the books that are at the forefront of my mind as we head into autumn. They’re recent or forthcoming releases, and although I don’t imagine I’ll have much time to read them right away (I’ll be busy trying to keep up with the nominations for the first round of the Cybils – I’m a judge this year! ), I’ll keep them in mind as I head into bookshops and make my hold list at the library. 1. The Girl Who Soared Over Fairyland and Cut the Moon in Two by Catherynne M. Valente – This third installment in the Fairyland series has a lot to live up to, because the first two books in the series were simply enchanting. I have no doubt that Valente will outdo herself once again. 2. Untold by Sarah Rees Brennan – Last autumn I read Brennan’s Unspoken, and I stumbled about in a love/hate fog for days afterwards. I look forward to reading about Kami and Jared and the crazy-town antics of their magic-wielding neighbors. 3. Across a Star-Swept Sea by Diana Peterfreund – Young adult, sci-fi retelling of The Scarlet Pimpernel?! I will devour it like fine dark chocolate. Which is to say, savoring each delicious bite. 4. Hyperbole and a Half: Unfortunate Situations, Flawed Coping Mechanisms, Mayhem, and Other Things That Happened by Allie Brosh – Ms. Brosh is the hilarious writer and illustrator of the Hyperbole and a Half blog. Her blog in book form… sounds like pretty much the best thing ever. With cupcakes on top. 5. Sorrow’s Knot by Erin Bow – Erin Bow’s Plain Kate was heart-wrenching, intelligent, and just a level or two above whatever I expected. Her new book can only be excellent. Color me excited! 6. Antigoddess by Kendare Blake – Gods and goddesses at war and mythology twisted and made new. I’m all about it. 7. Shadows by Robin McKinley – Robin McKinley is an all-time favorite author, and she has a book out this fall! It’s a stand-alone (my favorite!). It’s a miracle I haven’t begged, pleaded and bribed an advance copy into my possession. And actually, that makes the eventual read all that more exciting. 8. More Than This by Patrick Ness – Patrick Ness has a way of making the reader bleed emotion. All of his books are beautifully-written works of art, and I know this latest will be more of the same. Or more of the un-same. Either way, my heart will cry. And I’ll like it. 9. Sense & Sensibility by Joanna Trollope – Trollope’s update on Jane Austen’s tale of the same name should be a hoot. The title and the elegant cover art caught my eye, and then my attention was snagged by the summary. I may take this on the plane ride to Ireland! 10. Curtsies & Conspiracies by Gail Carriger – Carriger writes fantastic steampunk no matter what her target audience, but this second book in her YA series is sure to be full of hijinks, mischief, trips below-ship, and assassin training. In other words, straight fun! What books are on your fall reading list? There’s a constant clatter in my head these days, and when I slow down long enough to listen to it, it sounds like this: “I’m going to Ireland! Oh my goodness, I’m going to Ireland! I’m not ready! I’m ready!!! I’m nervous! IRELAND!” (repeat). In preparation I’ve been doing the usual – reading guidebooks, purchasing a new rain jacket, confirming reservations and so on… but I’ve also been reading Irish fiction and making Irish recipes. One of those recent reads was Marian Keyes’ Saved by Cake. Loved that book! Full of humor and deliciousness. For my latest Irish baking experiment I’ve made a traditional cake called Barmbrack, modified slightly from the recipe in Keyes’ cookbook (and leaving out her hilarious commentary!). It’s usually served at Halloween and filled with surprises (a ring to signify you’ll be getting married, a penny to symbolize wealth – you get the idea), like a King Cake. I made the cake but omitted the surprises, as I’m sure I’ll have plenty of those while traveling without wishing for more! Oh and yes, I leave in 4 days! So excited! Place the sugar, raisins, orange zest and tea in a bowl. Cover and leave to soak overnight (or for at least 5 hours, like I did the first time I made this recipe!). Grease a 1-lb. loaf pan and line with parchment paper, set aside. Preheat the oven to 325 degrees F.
Sift the flour and baking soda into the tea/sugar/fruit mixture, then add the beaten egg and stir well. Pour batter into the pan and bake for 1 hour 35 minutes (do a toothpick test from one hour on just to check). Let stand in pan for 5 minutes, and then turn out onto a wire rack. Cut into slices and serve with butter. Serves 8-10. OH DEAR GOODNESS THIS IS HEAVEN. Sorry. I didn’t intend to write that out in all caps, but the happiness that is in my mouth right now begged for an expression. You can see the list of ingredients above – it’s nothing fancy, strange or exotic. And there’s no magic in the preparation, either, except letting the fruit marinate in the sugar and tea. And yet. The two slices of cake that I just ate, slathered in butter, were sinfully delicious and absolutely lovely. Make this cake for how it smells while baking. Eat it for pure pleasure! Finish it in one sitting because you won’t be able to help yourself! Note: This cake is best just out of the oven, but reheats perfectly well in the oven 2-3 days later, too. Probably you can freeze it, too – if you can resist eating it! Recommended for: a moist, crowd-pleasing sweetbread, a welcome addition to autumn and holiday baking (it just smells right for those seasons! ), and for the days when you just need to eat something comfortable and fragrant with your coffee/tea. I may be the book blogger in my family, but all of my siblings love to read, and my sister (and best friend!) Ginny is a huge fan of YA lit – and not only does she love reading it, she teaches it! She’s a 9th grade English teacher in Washington State. Ginny is an amazing teacher and inspiration, and this was her first week back teaching after an intense summer of volunteering. Last night severe storms caused parts of the roof of her school to collapse, and classrooms flooded. 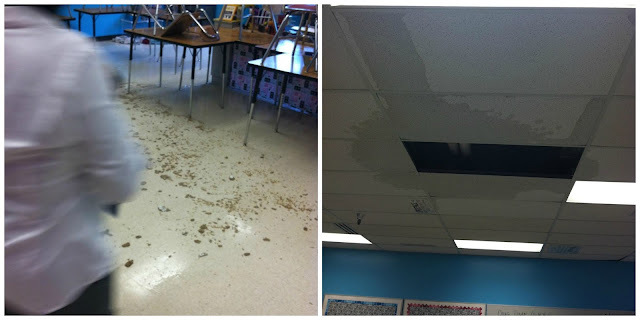 When she went in to work this morning, there was standing water 2" deep in her classroom, and part of the ceiling had fallen. The good news is that she and her kids are safe – all of the major damage happened overnight. 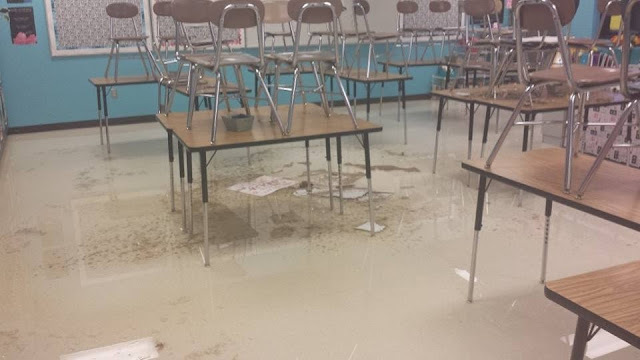 They closed down the whole school, as around twelve classrooms were affected (here's the video news segment). 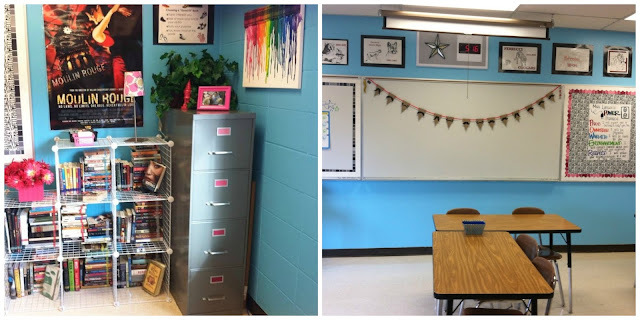 The bad news is that there’s a ton of work to do to make it safe for classes again, and part of that work means ripping out walls she’s spent hours decorating. The flooding also destroyed Ginny’s classroom library, which she has collected over the past 7 years (with my help!). Her 300+ books were sitting at ground level and soaked up the water and debris. Visualizing all of that hard work and those lost books made me cry, and I know I’m not even close to feeling what she feels, and I can’t imagine what her students will lose out on. My heart is aching for her, and I need to do something to help. I can’t do anything about the walls of her room, but I can do something about the books. I’m going to donate from my own shelves and fill a couple of boxes to send to her. I’d also like to solicit your help, dear readers. 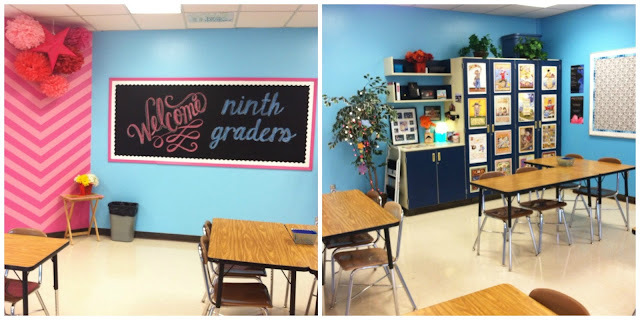 In the comments, please tell me what books you’d put in a 9th grade classroom library. I’ll search for used copies of those titles on Amazon and other sites and put together a big order for Ginny and her kids. Do you know other ways to help? Please mention them! Thank you! For quite a while I thought there was something special about long-time favorite books. Something like a block or a mental brick wall that kept me from being able to put words on a page and describe how I loved that story, and how much the reading and re-reading of it changed me. Well, there IS a special magic surrounding old, favorite and familiar tales, but I’ve worked myself around to being able to write about them (a bit). Robin McKinley is one of my most favorite authors, and her adult fantasy (paranormal? urban fantasy?) 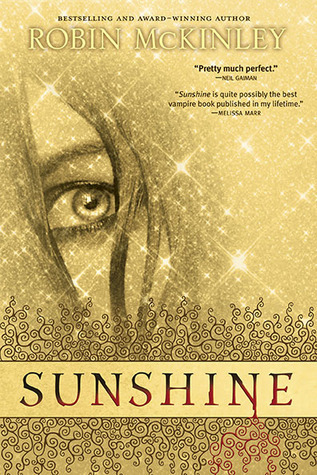 Sunshine is one of her best books. The other day I needed sunshine in my life, and I picked it up off the shelf for an extremely well-timed re-read. Sunshine is a young, perfectly ordinary (she thinks!) girl with a loving, messy, normal family. The only thing is, her world is full of the Others, including demons, Weres, and the Darkest Others, vampires. But you can get through life pretty well as long as you avoid the dangerous parts of town and have a modicum of good sense and luck. At least, that’s how it should be. It turns out that Sunshine’s life won’t be so simple after she decides to drive out to the lake one summer night. My friends know about my thing for zombies, but I usually protest that I don’t read about vampires. This is the book that proves me a hypocrite. It’s not that these are seductive vampires. No, they are the utterly alien, terror-in-the-night kind. But as Sunshine discovers, her destiny lies in a gray area, and she won’t get to pick the cut-and-dried human ‘side.’ She’ll have to live with impossibilities. The story that takes her on that journey is fascinating and (as I said) an all-time favorite. McKinley has created an entire world with unnamed Wars in recent history, a vampire menace, partblood discrimination, and a friendly coffee shop at its center. However, the story’s focus is Sunshine, and her first-person narration is what makes the book work. She’s self-deprecating, funny, afraid, and wants to cling to the normality she knows. At the same time, she finds that deeply-hidden well of courage and strength needed to face evil, to keep on living, and to choose the right thing, even when it all seems bleak. She’s no perfect heroine, and that, I think, is one of the reasons why readers will fall in love with her. The thing that resonated most with me this re-read was the juxtaposition of Sunshine’s primal urge to make food and feed it to people (a metaphor for creation and nurture), and her mission/calling to do what she can to destroy evil (killing, getting her hands dirty). Sunshine also grapples with the questions of how to be a good person while doing something that she fundamentally disagrees with, how to keep the balance of light and dark in her life, and if there is such a thing as a visible taint of evil. I find that the best books will speak different messages to you at different points in time. I felt very adult this time ‘round, reading Sunshine. It was… interesting. In any case, it’s still a wonderful, immediate, funny, dark sort of pleasure, and I’m sure it’ll remain on the favorites shelf for years to come. And now! An aside featuring food: As the baker/pastry chef at her stepdad Charlie’s coffee shop, Sunshine makes many cinnamon rolls (as big as your head! ), muffins, cherry tarts and Killer Zebras throughout the book. What are Killer Zebras? A type of cookie, of course. The passage below (from page 227) got me thinking about making them. A woman named Maud has just interrupted Sunshine’s solitude, and offered her a generic cookie from a packet. It turns out that it is just this sort of fellowship with her fellow humans that Sunshine needed. “I’m Rae,” I said. “Do you know Charlie’s Coffeehouse? It’s about a quarter mile that way,” I said, pointing. “I don’t get that far very often,” she said. “Good for you,” she said, and patted my knee. So I did a little searching and found Robin’s mention of Killer Zebras as basically Betty Crocker Harlequin cookies. I couldn’t find the original Betty Crocker recipe, but I did find this one for Chocolate Harlequins from Simon Rimmer’s Cooking for the Weekend. I tried it. And failed (they... spread. and the consistency is wrong). Needless to say, I’ll be searching the cookbook section at used bookstores and sales until I find the original recipe! 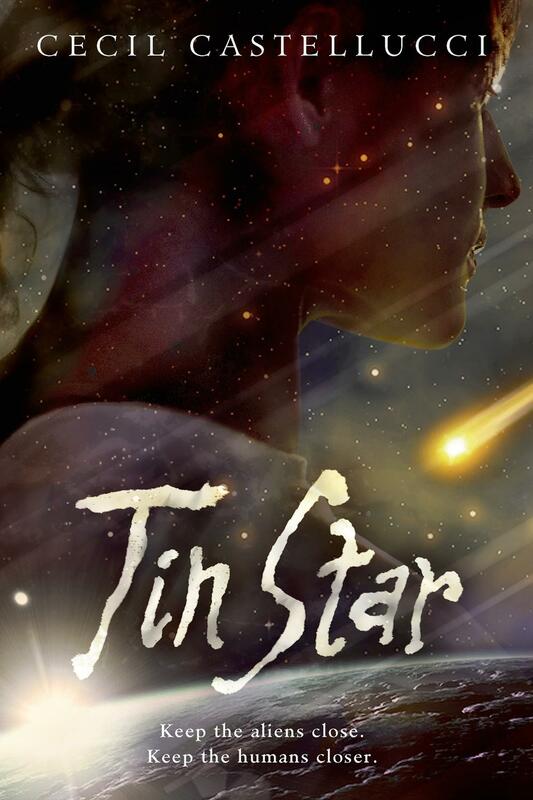 Recommended for: anyone interested in paranormal and urban fantasy, fans of Emma Bull, Neil Gaiman and Sharon Shinn, and those who appreciate the full-immersion experience in a character and a fantastical world.